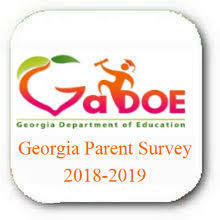 We are requesting your input on our Georgia Department of Education Parent Survey. This survey is part of our School Climate Star Rating. There are 24 questions that you may complete on your personal computer, smartphone, or tablet. All responses are anonymous, and are submitted directly to the Georgia Department of Education for analysis.